The fact that General Fiasco seem to have named themselves after a bad pun from Blackadder might mislead some people into thinking the Northern Irish three-piece are a bit stupid. This impression isn’t totally obscured by the title track here, which sounds disconcertingly like it wants to be classic Bon Jovi when it grows up. 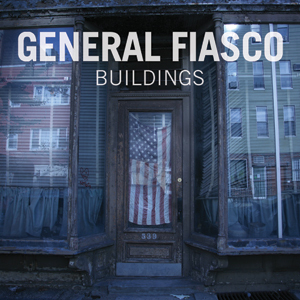 Forget the snobbery, though, and it becomes clear that General Fiasco are not so much stupid as fantastically simple. Not all of ‘Buildings’ has the perfect dynamism of the brilliant ‘Rebel Get By’ but it all has that lust for life, which is the hallmark of all great rock’n’roll.